Our beloved son, brother, father, relative and friend, Dwight Burnett Harris was born in Bastrop, Louisiana to Henry Harris, Sr., and Ruthie Harris-Jackson. Dwight was raised in Oakland, California with his siblings Donald J. Harris (deceased), Henry Harris, Jr., Jessica Harris-Titus, Dennis R. Harris (deceased), and Cedric Braziel. Throughout his life Dwight made friends easily and built unique relationships with friends and family that remain today. As a youth, Dwight attended Redwood Height’s Elementary School, Bret Harte Junior High, and graduated from Fremont High School in 1975. Dwight continued his education at Merritt College until he enlisted into the United States Marine Corps, June 15, 1997. Dwight loved his time in the military and proudly served his country as a distinguished Rifle Marksman in Okinawa, Japan and Seoul, Korea. He was a recipient of the US Marine Corps Rifle Marksmen Badge and the Good Conduct Medal, one of the oldest military awards of the United States Armed Forces. Dwight came to Christ at an early age. He attended Church of All Faiths with his family, in Oakland, under the leadership of Pastor, Dr. R. Colby Thomas. He later united with Evergreen Missionary Baptist Church, under the leadership of Bishop Frank Pinkard, Jr., and was baptized April 1, 2007. Dwight continued to serve God as a Deacon in training. Dwight was loving, compassionate, and had a heart for the people in his life. He also had a caring heart for helping strangers he met along the way. His love and devotion to his mother was boundless. While in the military he wrote her many letters, always letting her know that she was his rock and that he loved her. Lovingly called “Dewayne” by friends and family he loved playing tennis, was fun loving, and had an infectious laugh. He always greeted you with a smile and was renowned for his sense of style and flair. If you didn’t know a lot about him, you knew that. He was also known for his positive and upbeat attitude, personality, and kindness. 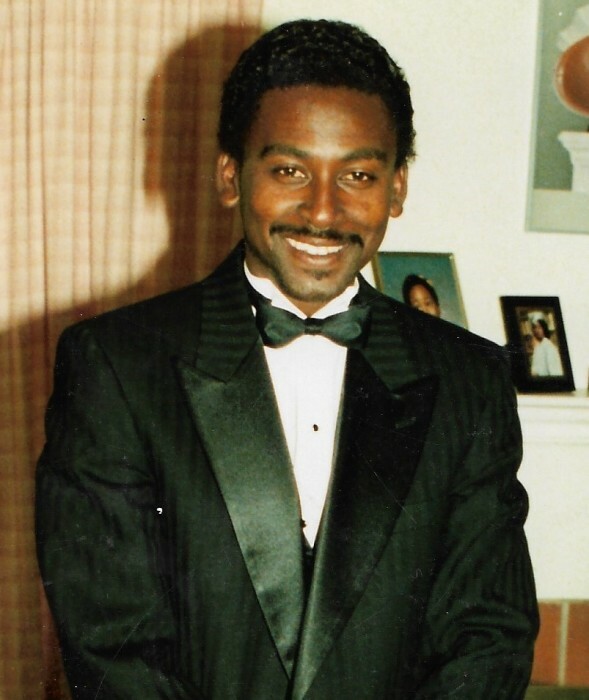 While employed by the City of Oakland Office of Public Works, he received a Commendation Service Award from Mayor Lionel J. Wilson, in recognition for the diligence and cooperation he demonstrated in response to the October 17, 1989, Loma Prieta earthquake. The passing of our beloved Dwight on Sunday, December 2, 2018 at Alameda Hospital, Alameda California, was peaceful, cloaked in the love of God, guided by the heartbeat of a loving family and uplifted into Heaven by the spirits of the loved ones gone before him, his father Henry Harris, Sr., oldest brother Donald Harris, younger brother Dennis Harris, and nephew Donald Harris, Jr. He leaves to cherish his memory his devoted and loving mother: Ruthie Harris-Jackson of Oakland, CA; Son: Joshua Harris, Oakland, CA; Daughter: Thea Harris, Tracey, CA; two brothers: Henry Harris, Jr., Los Angeles, CA, and Cedric Braziel, Oakland, CA; sister: Jessica Harris-Titus, Oakland, CA; nieces, nephews, great grandnieces and nephews, and host relatives family and friends.